You will receive 1 minion Color By Product pictures. A fun way to learn multiplication facts. Includes 1 multiplication worksheet, 1 blank mystery grid, 1 worksheet answer key, and 1 completed puzzle. Use these boy and girl minions to place onto tables, job charts, windows or anywhere around the classroom with each student's names in them. Bee-do, Bee-do, Bee-do. This is FUN way to practice graphing points. Students plot points standard coordinate plane then "connect the dots" as they go. 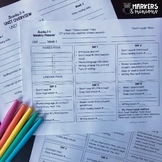 As This worksheet takes about 30-60 minutes to complete (depending on the student) and can be used for review or sub plans. Fun drawing activity for students of all ages. Roll then draw each part of your very own minion character! Get to know your students while they have fun completing and coloring their Minion "All about Me" packet. Don't forget to pick up your freebie! Noise level chart for the Minion themed classroom. Give your students a visual reminder of the noise level you expect during various points in the day. Includes half sheet and full size sheets of each voice level. This is a PDF that includes 2 pages of rewards tickets to use within the classroom. They all include things kids can use or bring to school at no cost to the teacher! The third page has blank templates to make your own tickets. This works great in conjunction with Class Dojo. Minion Themed Print Out Border Page. 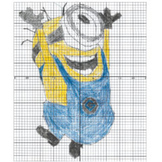 This .pdf document provides a fun minion themed border for your print outs and hand outs. Simply print the page and then reuse, inserting your own content. Minion themed bulletin board pack can also be used in many other ways. You can either print these off on colored paper and create your own unique minions or you can print off the ones created in this pack in colored ink. Monthly newsletter template with a minion theme! Click in the white boxes to edit. 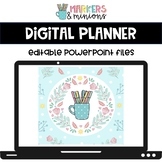 MS Word and PPT versions included.